Should I Reupholster My Old Sofa? Many homeowners struggle with the question of whether or not to reupholster an old and worn sofa. The answer depends in part on the following questions and ultimately comes down to a personal decision. Is the sofa structurally sound? Another way of asking this is whether the sofa has “good bones.” If the frame is sturdy and in good shape, a great furniture upholsterer can cover it in a brand-new fabric of your choice, and can add padding or foam, if needed. This can often be done for less cost than purchasing a new sofa. Is the sofa a family heirloom? If the sofa has been important to your family, or if it’s been in the family for several generations, you might hope to keep it in the family even longer. A fresh, new fabric and some new padding or springs can give the old family sofa a new chapter! A highly rated furniture refinisher can give an old sofa, armchair, or ottoman a facelift and a new life. Is the sofa valuable? If the sofa is a valuable antique, very high quality, or if you’ve already invested good money in it, it’s generally a wise decision to reupholster it when it shows wear and tear. If the sofa is an antique, a good upholstery shop will even be able to advise you on fabric choices that can reflect the era. Is repurposing and reusing important to you? If you’re “green,” you’re passionate about reusing, repurposing, recycling, and reducing waste, and you’ll likely opt to reupholster your couch and continue using it rather than see it dumped into a landfill. What are the costs? If you don’t have a personal stake in the decision, you can simply find out which is the better value – buying a new sofa or reupholstering the old, worn one you have. If you have a high-quality sofa that’s in pretty good shape but just needs new fabric, it’s almost always less costly to reupholster. Jax Furniture Refinishing & Upholstering is the best Jacksonville FL furniture restoration shop and the company to trust with your sofa and other favorite furniture. Our customers in Ponte Vedra Beach, Ortega, Mandarin, Riverside, and the beaches call on us to keep their furniture in great shape now and for generations to come. Call on us and let’s get started on that furniture reupholstery project you’ve been daydreaming about! Furniture that is not stored correctly can become damaged while in storage. Before moving your fine furniture to a basement, garage, or offsite storage unit, check out our tips to help ensure your dining room table and chairs, chest, dresser, antique chair, and other furniture stays in great shape. Determine the best place for storage. Be sure first and foremost that the storage unit is climate controlled. Here in humid, warm northeast Florida, it is especially important that your furniture is not stored in rooms or areas that are damp and hot, or where the temperature can fluctuate greatly. The area you decided on for storing your favorite furniture should be monitored for moisture, protected against flooding, and should have safety measures in place to prevent break-ins. Clean the furniture. Wipe away all dust and cobwebs, and be sure to clean away excess body oil from areas such as the arm rests of chairs. Make each item as clean as possible, otherwise the dust, oils, and debri can settle into the fibers of the material and degrade or damage it over time. You might also choose to treat certain materials. For example, depending on the type of wood used in your antique wood furniture, as well as its condition, you might choose to apply a high quality oil, or ideally, to have a good professional wood refinishing service clean and repair the furniture before it is placed in storage. Disassemble furniture. It’s often recommended that you take apart furniture items, when possible, at least partially. For example, unscrew the legs from dining room tables and chairs, and detach the mirror from on top of the dresser, etc. This will allow you to wrap individual pieces, if necessary, and configure all items in storage in the best possible way. Put screws, bolts, locks and keys in a small plastic bag and keep it near the furniture in order to make the furniture easier to reassemble when the time comes. Wrap or protect furniture. Smaller glass items or mirrors should be wrapped in packing paper and then in bubble wrap or put into a box. Sharp edges of furniture can scratch other items or get broken off in transit or storage, and therefore should be wrapped in moving quilts or packing paper. You can even choose to loosely drape a covering over furniture to simply protect it from sunlight or dust. However, be sure you do not use plastic wrap when covering furniture even loosely, as this can create condensation, mildew, and a host of other conditions that can cause great damage to your furniture. Raise your furniture off of the floor. It’s also highly recommended that you raise your furniture off of the floor using cinder blocks, planks, or palettes so that your items are protected should the area flood unexpectedly. You might choose to line the floor of the storage area with plastic. This can seal moisture away from your furniture. 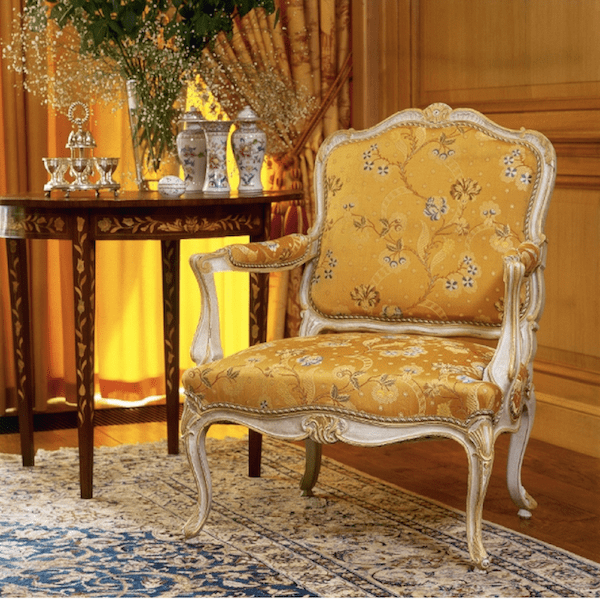 Jax Furniture Refinishing & Upholstering is the best furniture refinishing service to trust with your treasured pieces. We specialize in restoring furniture to its original splendor, whether it is an antique dining room set you recently got out of storage, a contemporary coffee table that was damaged, or your family’s favorite sofa that is in need of a facelift. We serve clients throughout the First Coast in downtown Jacksonville, Mandarin, Southside, Ponte Vedra Beach, Atlantic Beach, and more. Call on us for your refinishing, restoration, or reupholstery project, and you’ll love the results! When your sofa is looking a little worse for the wear, or when you find that perfect antique armchair at an estate sale but it needs a total makeover, you start to think about having the item reupholstered. Furniture reupholstery projects can take a lot of planning, so here are 4 things to consider before you go any further! Is my furniture worth reupholstering? Consider the shape the furniture is in. Is it a family heirloom, built by hand decades ago and now in need of new upholstery? If so, that’s a perfect candidate for a great recovering job. On the other hand, if it’s machine made or has shoddy construction or is otherwise lower in quality to begin with, it may be best to instead invest in new, higher quality furniture. If you’re in doubt, a great furniture restoration shop will be able to provide answers for you. Is there a trusted, highly rated professional upholstery shop in my area? Many upholstery projects are beyond the scope of a simple DIY project, and you don’t want to trust your beloved furniture to just anyone. Ask around, search online, and make sure there is a good, reputable custom upholsterer near you. You can even tour the workroom and meet with the craftsmen before deciding on the right upholsterer for your job. Involve the experts in your decision. Once you’ve found the perfect upholsterer for your project, take advantage of their expertise and involve them in your creative process. If you’re feeling overwhelmed at your fabric choices, a great upholsterer will be happy to help you select the perfect fabrics for your home and furniture. Each fabric behaves differently. Some are more durable, others are better at hiding wear, others are more luxurious, and so on. A great furniture refinishing shop will have experts to help you find the perfect fabric to suit your needs. Understand the upholstery process. Good quality upholstery projects can take time! The timeline for your project will depend on many things, such as the shape your furniture is in, what you have planned for its makeover, as well as things like the size of the upholstery shop and whether they have a waiting list. Speak candidly with your upholsterer and make sure you understand the timeline, the cost, the process your furniture will be involved in, and anything else you need to know to prepare for the project. Jax Furniture Refinishing & Upholstering is the best furniture upholstery service Jacksonville FL homeowners trust with their fine furniture. 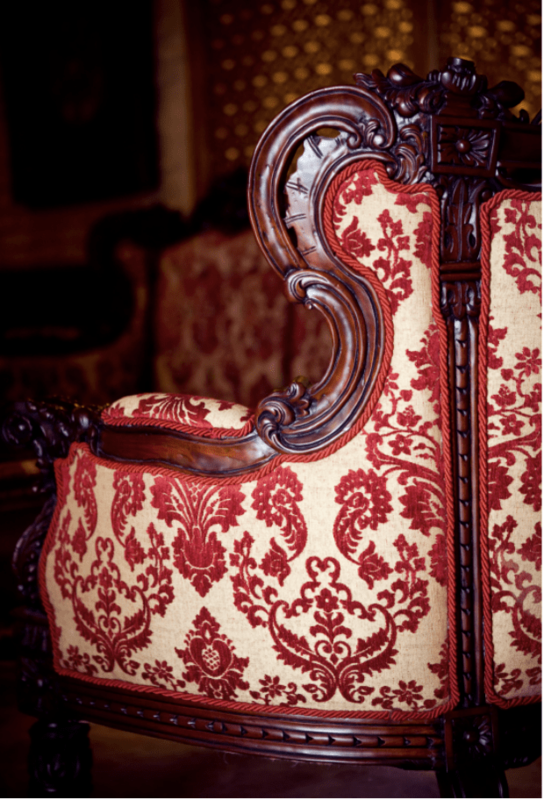 We specialize in custom upholstery and have a passion for restoring antique furniture to its original splendor as well as reupholstering furniture to meet the needs – and dreams – of our customers. Join our countless clients in Mandarin, Riverside, Ponte Vedra, and throughout Jacksonville and the Beaches who are thrilled with the service they received. Do you have furniture that needs to be restored or upholstered? We’re the ones for the job! The first step in nearly any furniture refinishing project is to remove any remainder of the existing finish. This removal process can be messy and time-consuming, so it’s natural to look for alternative, easier ways to do it. However, when it comes to removing the prior coatings on a piece of wood furniture, shortcuts can end up doing severe damage to your furniture. So, what’s the difference between dip stripping and hand stripping furniture? Dip Stripping – The dip stripping process is quick and easy, but is very hard on the furniture itself. First, your fine, antique wood furniture is dipped into a vat filled with solvents. It’s left in the vat for several minutes (or longer) so that the chemicals in the solvents can react to the furniture’s existing finish. The furniture is then removed from the vat, scrubbed, rinsed, and left to dry. In the dip stripping process, the furniture is submerged fully, allowing the solvents to seep into all cracks and crevices of the furniture, and the chemical solvents that the furniture is dipped into are extremely harsh, with the goal of loosening the existing finish or coating as quickly as possible. The solvents do remove the finish, but they are so harsh that they also tend to cause the joints to come unglued, loosen the veneer, and can break down or weaken the wood itself. Hand Stripping – The process of stripping the finish from furniture by hand is much gentler on furniture but is still effective at removing the existing finish in preparation for new finish to be applied. Chemical solvents are still used, but they are rubbed on by hand, in a much smaller, safer amount. Your furniture is set on a large, shallow tray, and solvent is dispersed in small doses and wiped or brushed onto the wood, then wiped away with a cloth. This process is more time consuming but far safer on the furniture and just as effective at removing existing finish. In short, the existing finish MUST come off of your furniture before it is refinished, and this removal process can be done in either a destructive way or in a safe way. Highly rated furniture refinishing shops know the importance of removing finish carefully by hand, and shun the use of dip stripping. Your antique wood furniture and heirlooms deserve extreme care and professional treatment, and that means saying “NO” to dip stripping. Jax Furniture Refinishing & Upholstering is the best Jacksonville FL refinishing shop and the service to trust with your treasured furniture. Our craftsmen have spent decades honing their technique and have a genuine passion for restoring, repairing, and refinishing furniture. Homeowners throughout Jacksonville, Ponte Vedra Beach, Mandarin, Riverside, and throughout Northeast Florida rely on our expertise to restore their furniture with unsurpassed care, skill, and professionalism. Let us provide the same outstanding service for you! What shape is the furniture in? Your furniture may be starting to show its age, but what condition is it really in? Is the padding worn thin? Is the fabric worn just as thin? Are there broken springs? Does the batting need to be replaced? Does the wood frame need to be repaired? Are there buttons, piping, or other design details you’d like to preserve? A great furniture refinishing company will have craftsmen who are experienced in restoring and refinishing, as well as reupholstering furniture, and will be able to provide the finished product you desire. Is the furniture an antique? Antique furniture is almost always higher in quality than what is manufactured today. For example, if an antique or older piece of upholstered furniture has wood features, they’re almost certainly made of hardwood, rather than plywood or particle board, as is often the case today. If your furniture is a family heirloom or antique, a highly-rated furniture refinisher will be able to restore its beauty and give it a new chapter in a brand new fabric. What is your budget for furniture? It often costs far less to restore, refinish, or reupholster furniture than to buy new, especially if you want to have high quality furniture. When buying new furniture, assuming you want a high quality piece, you’ll need to be prepared to pay accordingly. It almost always makes the most sense to find the best furniture refinishing shop in your area and have the craftsmen reupholster your furniture and give it a new chapter of life. Jax Furniture Refinishing & Upholstering is the best furniture restoration Jacksonville FL homeowners trust with their reupholstering projects, antique restoration, and wood refinishing. Our craftsmen are highly skilled and specialize in transforming your furniture into the piece you’re dreaming of. We’ve served homeowners and antique owners throughout Jacksonville, Mandarin, Riverside, Sawgrass, and throughout Northeast Florida and would love to get started on your furniture upholstery project. For most of us, that bright sunshine is one of our favorite things about living in Florida! However, the sun’s rays can do real damage to your fine furniture. Use our tips to protect your furniture and keep it looking its best! Arrange the Room: Fabric and upholstered furniture are very sensitive to the sun, and will quickly fade if left in direct sunlight. Arrange the room so that armchairs, sofas, and other upholstered pieces are safely out of the reach of the sun for as much of the day as possible. Leather is sturdy, but the sun’s rays are powerful enough to dry out its natural oils, which can result in cracking. Keep leather furniture properly oiled, and arrange the room so that leather furniture is not kept in areas of intense sunlight. Position your wood furniture out of harsh or direct sunlight to protect the finish from fading. Pull the Blinds – Lower the shades, pull the blinds, and close the curtains when the sun’s rays are the strongest, and your furniture will stay safer longer. Use Coverings – If you leave your home for an extended period of time, it’s a good idea to cover your favorite furniture with cloths. A clean, cotton bedsheet will work well. This will protect the surface from dust buildup as well as potential damage from sunlight, and may even provide a small measure of protection against changes in temperature. In short, if you shield your furniture from sun when possible, you’ll enjoy it for a long time to come. Your furniture is an investment, and like any investment, it deserves protection! If your indoor or outdoor furniture has been faded, cracked, or damaged by the sun, the best thing you can do for it is to find a good professional furniture refinisher. The best furniture refinishing companies have skilled craftsmen who can restore your furniture’s original beauty, or give it a new look altogether. Jax Furniture Refinishing & Upholstering is the highly rated Jacksonville FL furniture refinishing company, and the one trusted by homeowners throughout Mandarin, Riverside, Ortega, and throughout Jacksonville. Winter is short here in Jacksonville, Florida, but the temperature can still dip pretty low. During these cold weeks or months, it’s best to clean your patio furniture and move it to a storage location to make sure it stays in good shape for when the warm weather returns. Wipe down each piece of furniture with a soft, dry towel. This will remove the majority of loose dirt, leaves, and other debris that will have collected on your furniture while in use outdoors. Make a simple, homemade cleaning solution to help with any residue or buildup, including mold, mildew, and mud. Mix no more than a tablespoon of mild dish detergent with 1 gallon of warm water, and you’ll have a solution that is gentle yet effective, and able to be used on almost any type of furniture. Remember to check the manufacturer’s guidelines for your furniture to make sure this mixture is safe for the type of material it is. Make sure the surface is then properly rinsed and thoroughly dried. 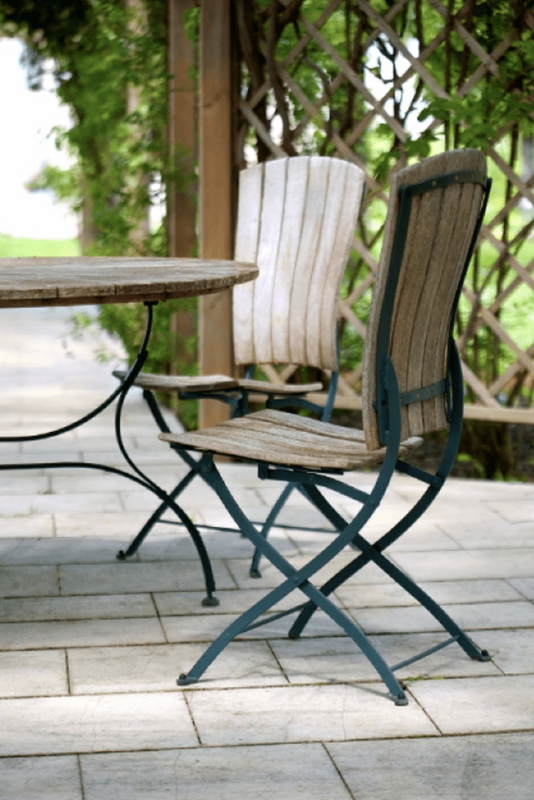 Metal: Wrought iron furniture is sturdy, but is still susceptible to rust when exposed to moisture. Remove any rust that has accumulated by gently dry-scrubbing with a soft, wire brush or lightly sanding the rust away and wiping it clean. Aluminum furniture can be washed using the dish detergent solution described above, then thoroughly dried. If possible, store metal furniture indoors, but if it must be kept outside, cover all pieces in a heavy duty tarp or cover. Upholstery: Fabric cushions and padding and other upholstery needs to be properly cared for before being stored. 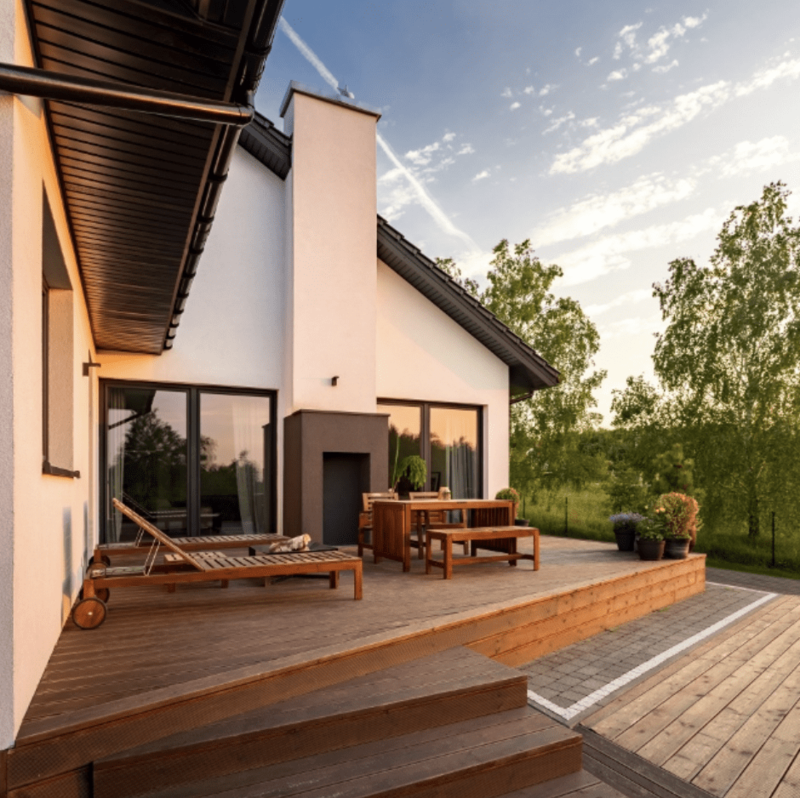 Acrylic fibers are designed to deter mildew and mold, but can still acquire some buildup, especially in climates that are generally warm and wet, such as ours. Give each cushion a good shake to rid it of dust, and vacuum any cushions or areas that are especially dusty or dirty. If you have a fabric umbrella, shake it out and wipe it down. Examine the umbrella to make sure no insects have built nests in any of the folds during recent months. Clean all surfaces, even the umbrella fabric, with the dish detergent solution and allow it to dry. If it is to be stored, all fabric, and in particular anything with foam padding, must be stored in a dry space to prevent mildew from growing on it. Plastic: Plastic needs little special attention. Once you’ve wiped it down with a dry cloth, and cleaned it with the dish detergent solution, hose it off with your garden hose and towel it dry, and it’s ready for storage. Plastic can become brittle in extreme weather, so it does need to be stored inside, or at the very least, covered with a vinyl or plastic covering. Wood: Painted wood will fade, and natural wood can warp and splinter in extreme weather. Wicker and rattan furniture is delicate, and cannot withstand the winter weather. 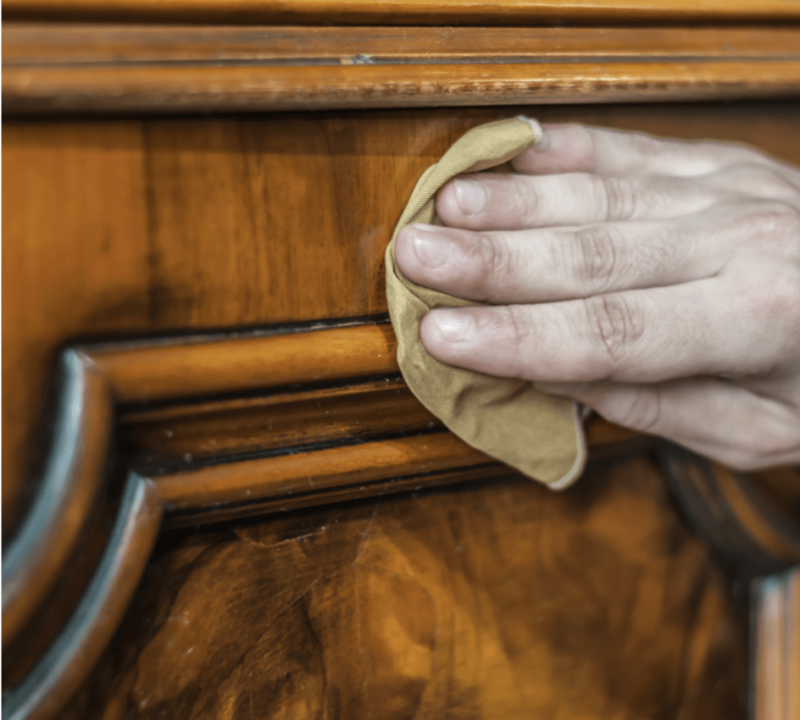 Wipe down all wood furniture with a soft towel. If possible, moisten the towel with a small amount of the dish detergent solution in order to scrub away buildup. Be sure this solution is thoroughly removed and that the area is completely dry. With the right precautions and cleaning, your outdoor furniture will remain in great shape for many future seasons of use. However, it’s still a good idea to call on the best furniture refinishing service in your area when the time comes to refresh or repair your patio furniture. Jax Furniture Refinishing & Upholstering is the best furniture refinishing service Jacksonville FL homeowners choose. We specialize in making outdoor furniture look beautiful, whether that means repairing it, refinishing it, or upholstering its cushions in a brand new, exciting fabric. Call on us to clean and prep your furniture for storage, and then to revitalize it when winter is over! When the time comes to give the bedroom a facelift, most homeowners think this needs to include buying all new furniture, or painting the walls a bold new color, or even remodeling the room. In reality, it can be much easier and far less expensive than that. In many cases, if you simply change the headboard of your bed, you can change the look and feel of the entire bedroom! Make sure the headboard is in good shape. Before getting out the paint or stain, make any repairs that are needed. Sand any rough edges, fix any broken or torn pieces, and make sure it’s sturdy. Set the tone for the room. Some homeowners want their bedroom to feel light and airy, or bright and cheery; others want their bedroom to feel more subdued. 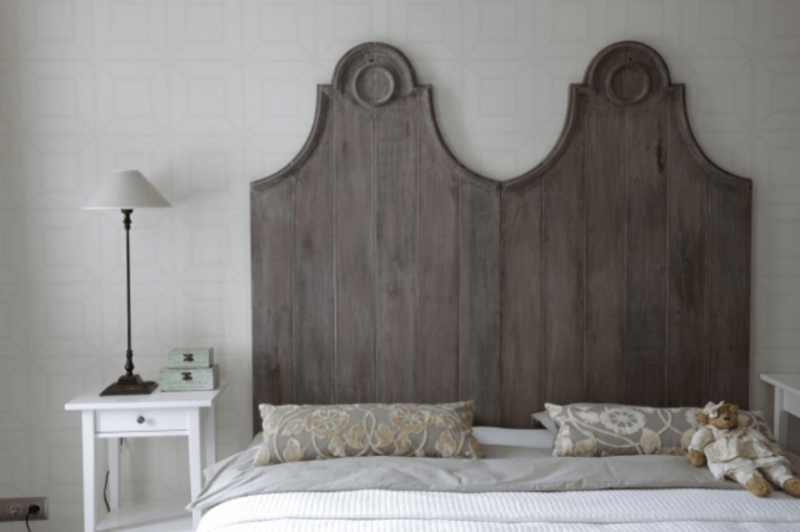 Regardless of the feel you are going for, the headboard will be one of the most important elements in determining the tone, so take the time to come up with the right color, pattern, and material. Consider the fabric. If you’re going for a fabric headboard, choose a fabric that will look good, feel good, and stand the test of time. If you like to sit up in bed and read, fabric is a great choice, but pick a fabric that can hold up to the wear. Consider paint or stain. If you’re painting or staining the headboard, make sure the surface has been sanded and prepped in order for the paint or stain to go on smoothly and adhere well. Have fun! Changing your headboard can be a good opportunity to bring some fun to the room. Add a splash of color by picking a fabric or paint color that is bold and exciting. Add stencil patterns, or buttons, or other design details. Our best tip is this: Call the pros! When it comes to refinishing, reupholstering, or revamping your furniture, it’s almost always best to call on a great furniture refinishing company for the job. Social media is full of tips for furniture restoration DIY, but those projects often end up making a mess, costing more than you intended, and even causing injury. The headboards in your bedroom and guest rooms deserve the best, so treat them to the best by calling a highly rated furniture refinishing service. At Jax Furniture Refinishing & Upholstering, we’ve become the headboard experts. Whether you want yours sanded and stained, or reupholstered in a great, new fabric, call on us. As our clients in Mandarin, Riverside, Fernandina Beach, and Ponte Vedra Beach will tell you, we’re the best furniture refinishing shop in Northeast Florida and the best choice for your favorite furniture. Give us a call!